Internationally acclaimed director and actor Kenny Leon is the keynote speaker to kick off the 2018 Decatur Book Festival. Leon, who is releasing his memoir "Take You Wherever You Go," speaks Friday, Aug. 31, at 8 p.m. at Emory's Schwartz Center for Performing Arts. The event is free, but tickets are required. Tickets will be available beginning at noon on Tuesday, Aug. 14, through the Arts at Emory Box Office at 1700 North Decatur Road, with limited tickets also available at Charis Books & More, Eagle Eye Books, Tall Tales Books and Little Shop of Stories. Tickets also may be obtained by calling the Arts at Emory Box Office at 404-727-5050 or online at Tickets.Arts.Emory.edu. 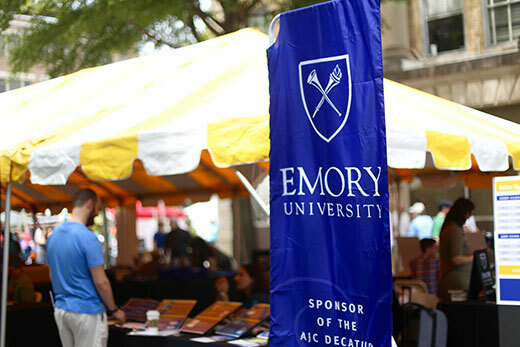 Emory University has become a presenting sponsor of the Atlanta Journal-Constitution Decatur Book Festival, making it the second largest sponsor of the nation’s largest independent book festival.